PP lamella by ethylene propylene copolymer material. On the basis of the shallow theory, a sedimentation section with reasonable sedimentation distance is set up in the upper part of the sloping plate, and the geometric shape of the sloping plate is controlled in the lower part to form a stable contact flocculation section in the lower part of the slanting plate. 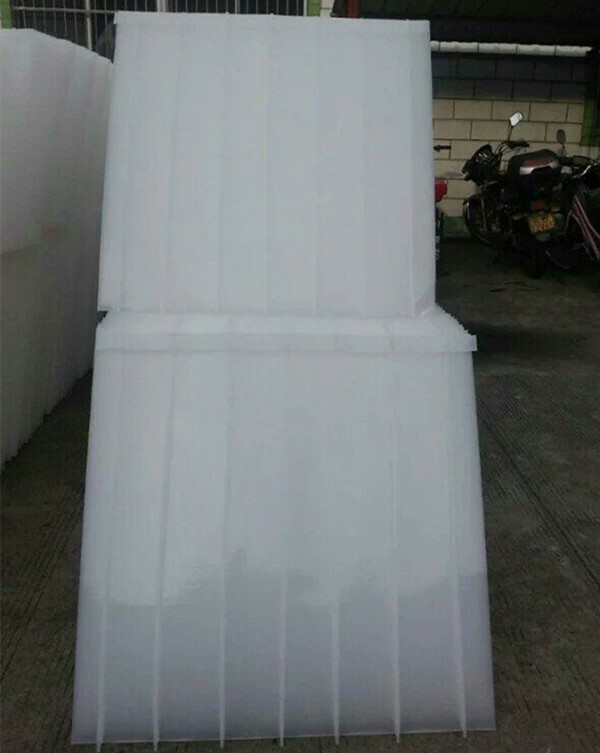 By contact action and shallow pool precipitation mechanism, Flower and water separation purposes. Inclined plate packing according to the type of construction can be divided into: 1. Small spacing ramp packing 2. Contact flocculation ramp packing 3. Efficient composite ramp packing. 1. Significantly reduce the spacing between the inclined plate, thereby greatly improving the utilization of precipitation space. 2. Because of the small Reynolds number, it can effectively suppress the hydraulic pulsation, thus greatly reducing the negative influence of the disturbance of the flow detail on the alum sedimentation. 4. 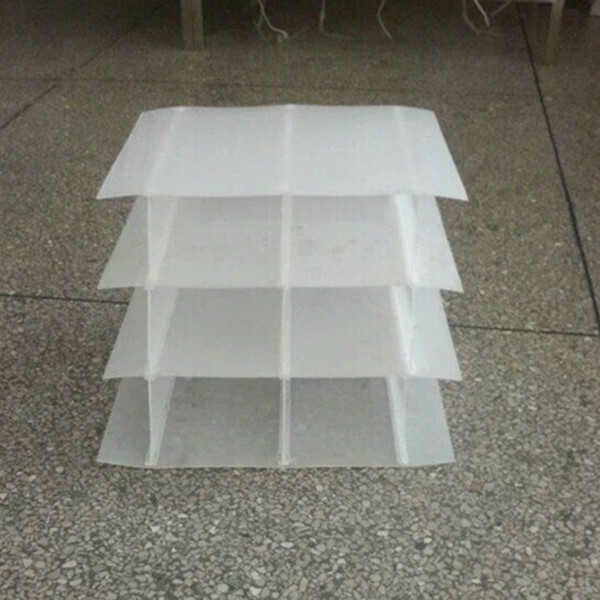 Because of the structural optimization, the high-efficiency inclined plate sedimentation equipment has no lateral restraint, and is more favorable for the alum sedimentation separation.